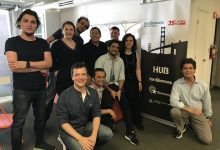 On Tuesday three startups from Startupbootcamp Berlin entered the stage at HY Berlin to present their ideas to an impressive audience of entrepreneurs and experts in the tech and media industry. What is HY Berlin all about? 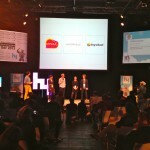 HY Berlin is a launchpad for global startups. Ten teams competed for the chance to win 10000€, a trip to Silicon Valley, and other great prizes. The event was held at RADIALSYSTEM V as part of the Media Entrepreneurs Day. Teams chosen for the competition were all early stage startups (younger than two years) with disruptive ideas which address a global market and solve a global problem. You can see more of their video demos on their Youtube channel. Credport has a mission: Building trust online! 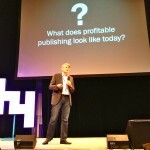 In a very entertaining and interesting pitch, Connor McEwen explained their vision of creating trust between strangers by allowing people to combine their reputation and connections from around the web in one place. On stage they also announced the launch of their first alpha version. To be one of the first ones on their platform, get started here. Capsule.FM strongly believes that the future is audible. Therefore it was only logical to let their product do the talking. The audio of the future made the crowd go wild and Espen Systad and Danielle Reid‘s pitch convinced everyone including the jury. Check out part of their pitch, where you can hear how the jazz loving, weather junkie and tech wiz, Anna’s own personal capsule could sound: With their strong performance, Capsule.FM made an incredible second place and will be flying to Silicon Valley with the other two winning teams. Does their product sound interesting to you? Capsule.FM is looking for beta testers. Sign up by visiting their Website. …it was an incredibly well organized event. 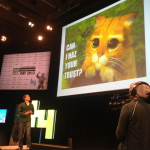 It was great to see the thriving tech scene in Berlin in action and to see Startupbootcamp Berlin being part of it. We would also like to congratulate all other teams, especially agorique who became third and Toywheel who won the competition.